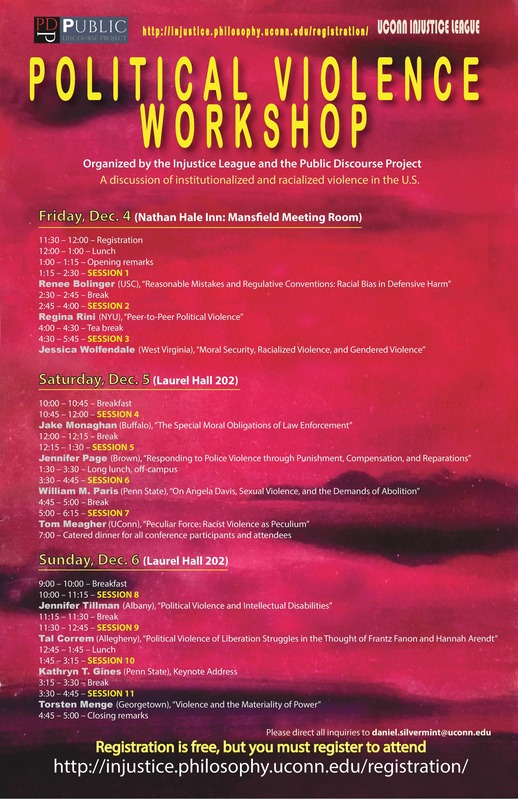 The Injustice League and the Public Discourse Project at the University of Connecticut are pleased to announce the Political Violence Workshop, to be held in Storrs on December 4-6. Keynoted by Kathryn T. Gines (Penn State), the workshop will focus on institutionalized and racialized violence in the U.S., and on the Black Lives Matter movement in particular. The event is free and open to anyone that registers, and we warmly encourage academics at other institutions to join us and take part in the conversation! To register to attend, click here. Meals are included, unless otherwise specified. Click here to register! 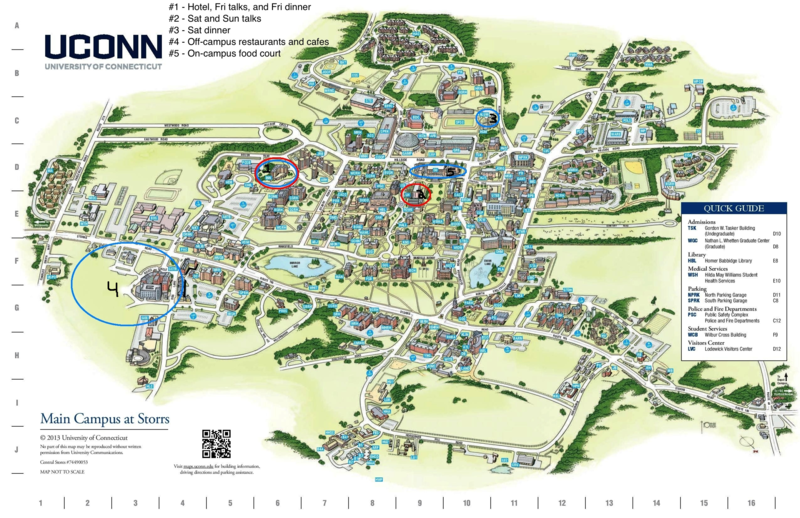 Click here for an annotated campus map. We are extremely grateful for the support we have received from the University of Connecticut's Public Discourse Project.